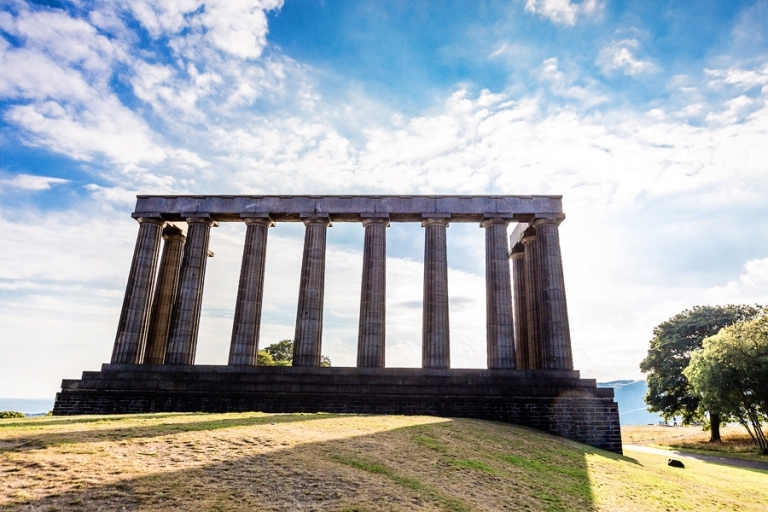 I photographed the National Monument of Scotland on Calton Hill on our last day in Edinburgh. The monument memorializes the Scottish soldiers who lost their lives while fighting in the Napoleonic Wars. I managed to get myself up and out of bed early enough to hike up to the hill and catch this beautiful golden morning glow back-lighting the monument. That kind of light was certainly worth an early morning!